On Wednesday, November 9 Tin Roof, Baton Rouge's own local brewery, will launch their third beer to hit the taps of area tap rooms and restaurants. The Bandit Blonde Ale pays homage to the Chinese Bandits, the famous defensive unit responsible for helping LSU bring home the 1958 National Championship. The beer is a light-bodied, crisp American blonde ale, which in their opinion and that of many of LSU's faithful, is suited perfectly for Tiger tailgating. Tin Roof owners William McGehee and Charles Caldwell are thrilled to finally be able to launch the new brew to their Baton Rouge customers. They had long been expecting a Fall release but it kept getting held up due to official collegiate licensing on the cans. Tin Roof has been working closely with LSU, and students have already been attending regular brewing sessions at Tin Roof throughout the semester as part of a new, brewing-based food science course. The Louisiana Business and Technology Center, the LSU business incubator, has been assisting in business planning and marketing with its counselors and MBA graduate students. The brewery also provides the LSU AgCenter with cattle feed. Thousands of pounds of spent grain from the brewing process are sent to the dairy on a weekly basis. While that is still moving forward in the process, the owners decided to go ahead and release the beer on tap now that they have the capacity to brew it. 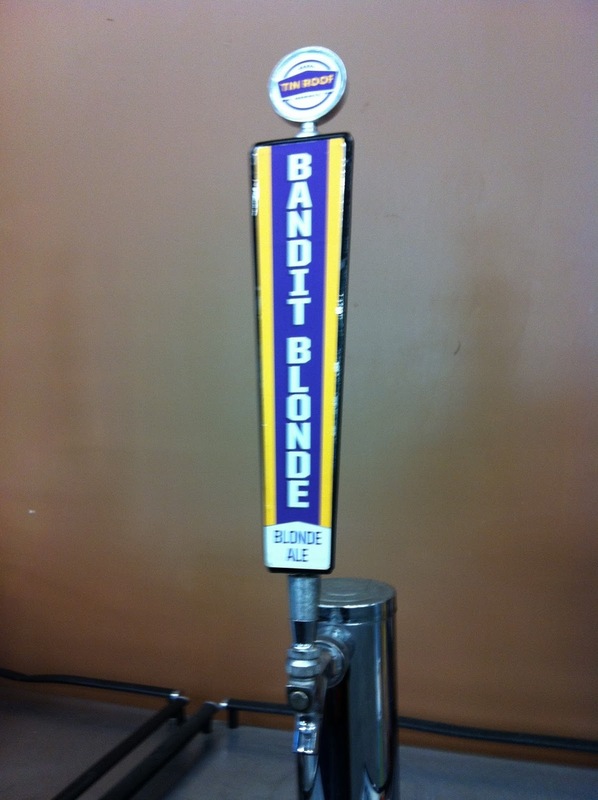 They will also be donating 10% of all proceeds from the Bandit Blonde to the LSU Foundation until the proper licensing agreements are finalized. The extra brewing volume is due in large part to the arrival of three new 60 barrel fermenters earlier this Fall. A barrel, which is twice the size of our normal kegs (hence the 1/2 barrel name), holds 31 gallons of liquid. 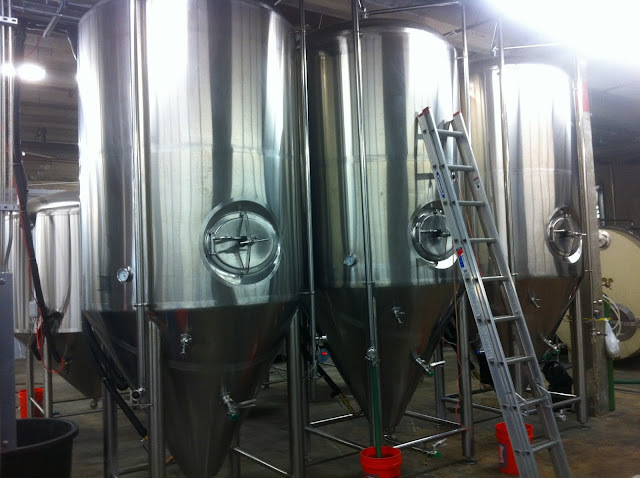 Thus, the new fermenters will expand brewing capacity by over 5,000 gallons of beer per brewing cycle. These extra suds will allow Tin Roof to keep up with demand in the Baton Rouge market and continue their expansion throughout the rest of Louisiana. Prior to the new fermenting tanks the Perfect Tin Amber Ale and Voodoo Bengal Speciality Pale Ale were all they had room for. 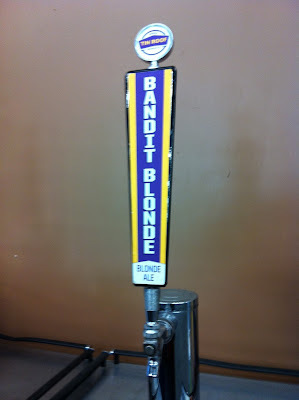 Now the Bandit Blonde Ale will also have its spot in the brewery on Nicholson Drive. Make sure to stop by on most Fridays from 5:30 to 7:30 PM to get a tour and a sample!